From the New York Times obituary by Michael Kimmelman: Robert Rauschenberg, the irrepressibly prolific American artist who time and again reshaped art in the 20th century, died on Monday night at his home on Captiva Island, Fla. He was 82. 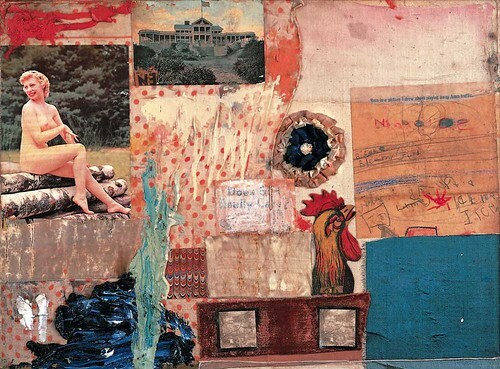 A painter, photographer, printmaker, choreographer, onstage performer, set designer and, in later years, even a composer, Mr. Rauschenberg defied the traditional idea that an artist stick to one medium or style. He pushed, prodded and sometimes reconceived all the mediums in which he worked. No American artist, Jasper Johns once said, invented more than Mr. Rauschenberg. I've been troubled over Kimmelman's reference to Johns' observation about Rauschenberg, now quoted or paraphrased by many well meaning people. So I went looking for the source. Leo Steinberg, in his article "Reflections on the State of Criticism," (from Artforum, March 1972, pp. 37-49) wrote, "I once heard Jasper Johns say that Rauschenberg was the man who in this century invented the most since Picasso." Nothing about America. 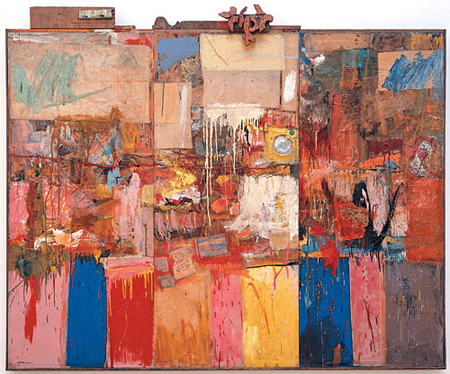 And nothing about the artist Johns compared Rauschenberg to––Picasso (Spanish, living in France). And as I think about this more, it refers (in 1972) to the first 25 years of Rauschenberg’s artistic output. He went on continuing to create art for another 35 years--whether considered as inventive or not. Perhaps even comparable to Picasso's later output? I agree, though, he was the giant in American art during the the 20th century.